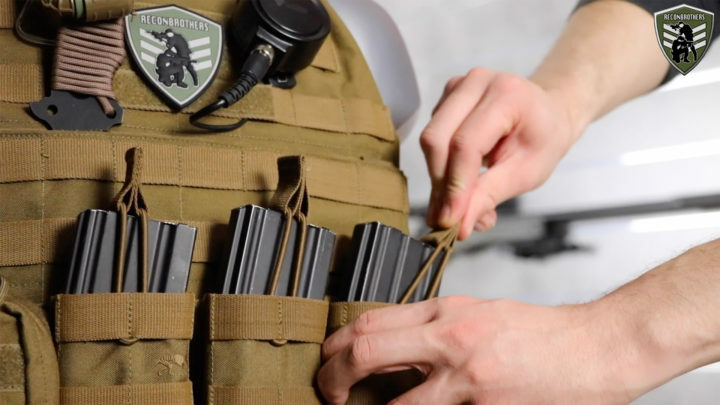 In this blog we will go over our plate carrier setup. This to show you the thought processes that came along with it. First off, keep in mind that the setup we will show you today is a custom setup for what we do with it. We’ve build this setup by trying out different stuff and hereby gaining knowledge. Also, be aware that we ourselves are continuously going through this learning process and that this stuff might also change over time. 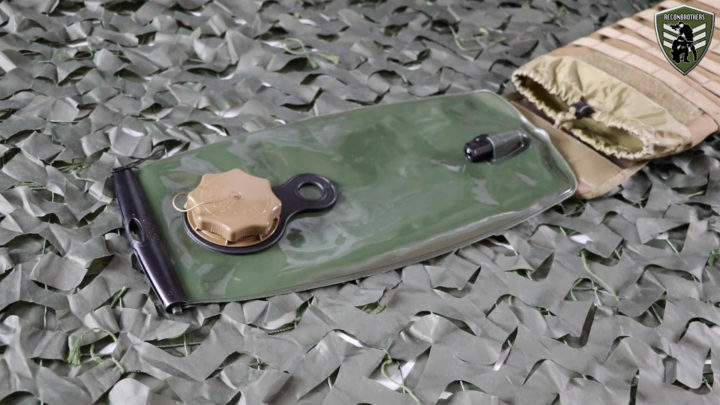 Now, our plate carriers will highly probably differ from yours, but we want to share this stuff with you to learn you about the thinking process. If you guys don’t agree on certain stuff make sure to let us know in the comments down below. 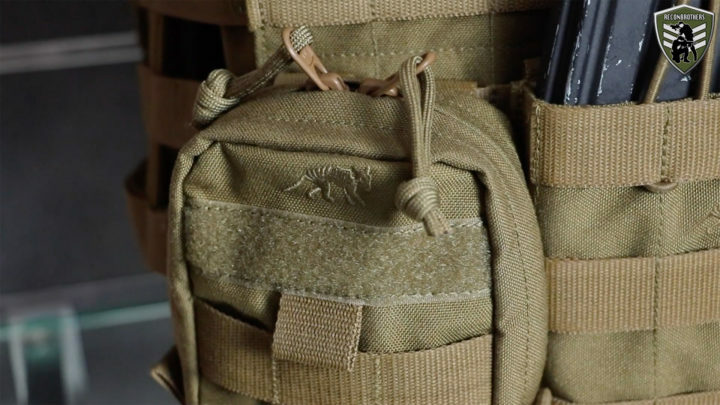 Most of you will already know that we use Tasmanian Tiger gear. Why? Because it’s good and reliable stuff. 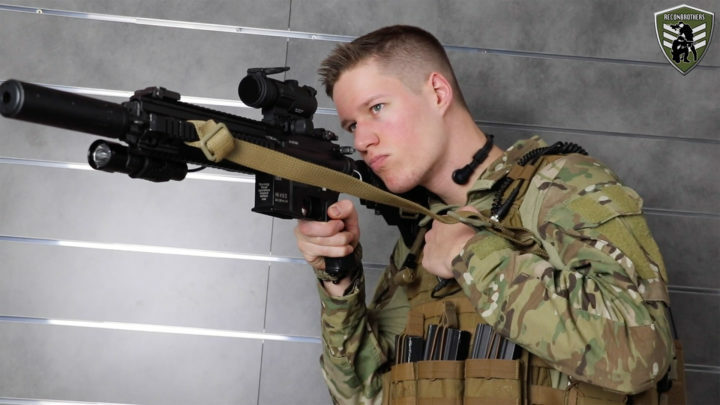 We rather put a little extra money in this stuff than paying fifty to sixty percent of the pricing for the real stuff for Airsoft reproductions. 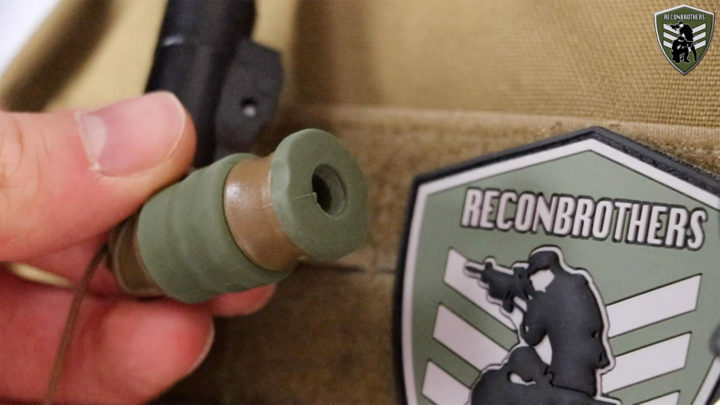 So, if you’re getting serious about doing Airsoft or Milsim, the quality of the real stuff is enormous and is definitely worth every penny in our eyes. Instinct uses the L/XL size and Viper uses the S/M sized one. 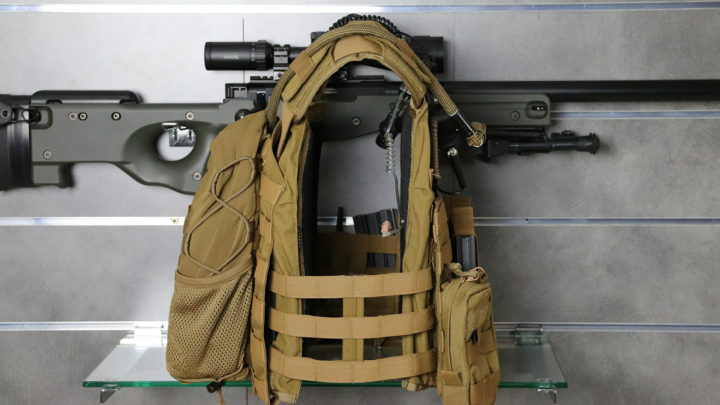 When it comes to our plate carriers, we both use the MKIII from Tasmanian Tiger. 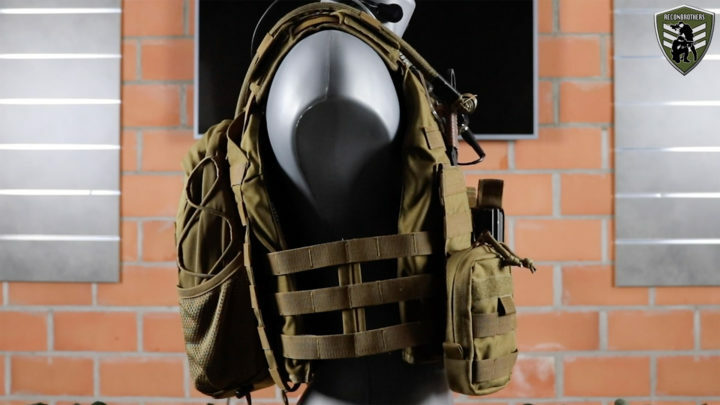 The difference is that Instinct has the ability to carry more pouches on his front and back panel, because it’s made of eight MOLLE loops in a row. Viper’s carrier only has six, but he has better maneuverability with his carrier. Instinct can also carry bigger sized SAPI plates, but it’s not that we put our lives on the line by doing Airsoft. If that was the case, we would have a big problem. By the way, speaking of plates for sport or training purposes. Some carriers absolutely need plates to stay in shape and function like they are meant to. For example, the L/XL version can function perfectly without them. And although the S/M version can also function without plates, it’s actually better with plates in it. 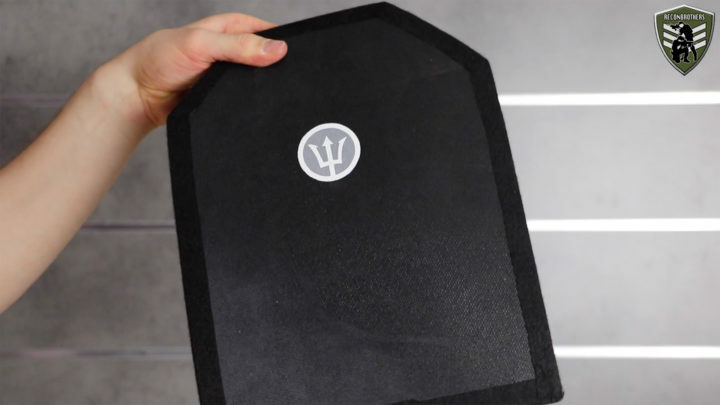 We know they are somewhat hard to find in the EU, but we’ve found a very good manufacturer named Tridentgear who is specialized in these. Now, let’s get over to what we’ve attached on it. 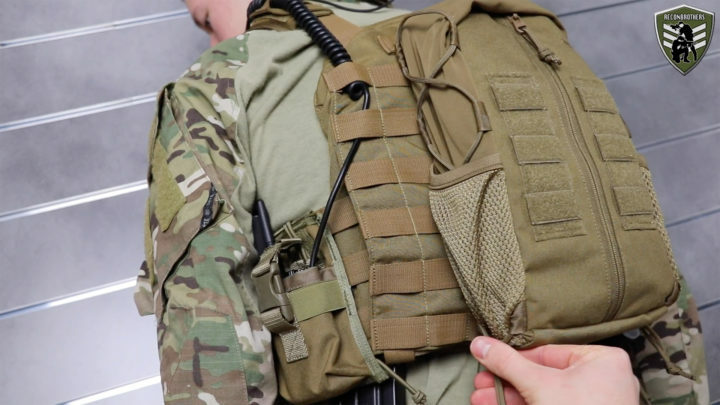 So, first when setting up your plate carrier it’s important to know how it will interact with your military style belt if you are using one. This means you have to know what happens while you’re doing things like running, laying down or even traversing certain obstacles. As always we base our setup on 3 fundamentals. Namely: easy access, efficiency of movement and minimal stuff. So, let’s start with the front first. In general the things you need to access by yourself on your carrier is the stuff that we consider to be in 160 degrees up to maximum 180 degrees of your access space. Beyond that space wont be easy to access by yourself. So, use that space you have wisely. 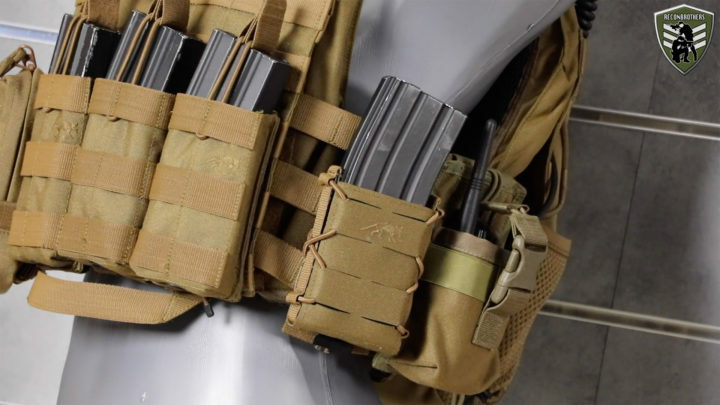 Now, the front of our carriers are obviously filled up with M4 style magazines. 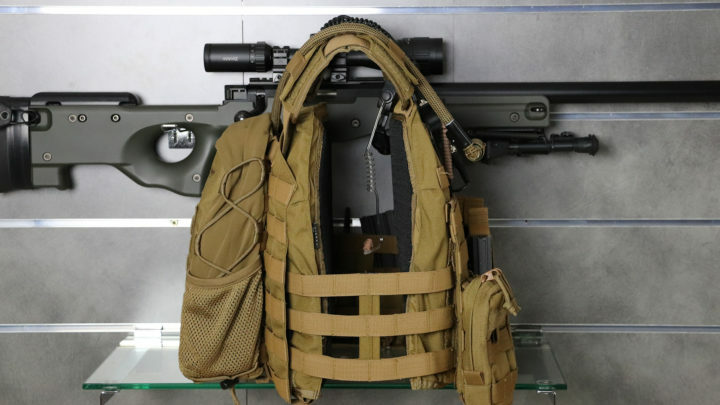 For this we use the TT SGL MAG POUCH BEL M-four pouches. 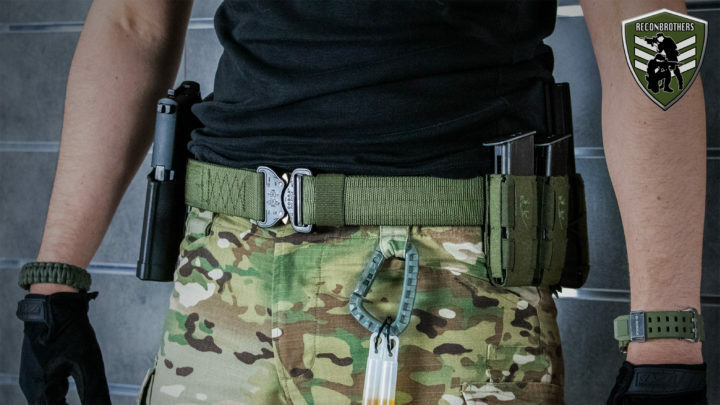 These have a retention strap which reduces the chance for losing a mag to almost zero. Why do we do it like this? Because when you hit that ground to get low and almost get to eat that dirt, you will do this in most cases with your front panel hitting the ground. This means that whatever is on the ground can possibly loosen a mag when it’s not retained. But, then how about fast accessing your mags? Well, that’s not what our front panel is for. That’s for our belt which allows for a more faster access. If you want to learn everything about how we setup our belt and understand the thought process behind that, take a look at the link in the image. What Instinct also has on his front panel is a TT tac pouch one vertical. Which is basically a utility pouch to easy access all his camera material like batteries and SD-cards. This, so he can quickly change this stuff in the field. So, unless you record your adventures too, you can simply replace it with something else you might need in an instance. 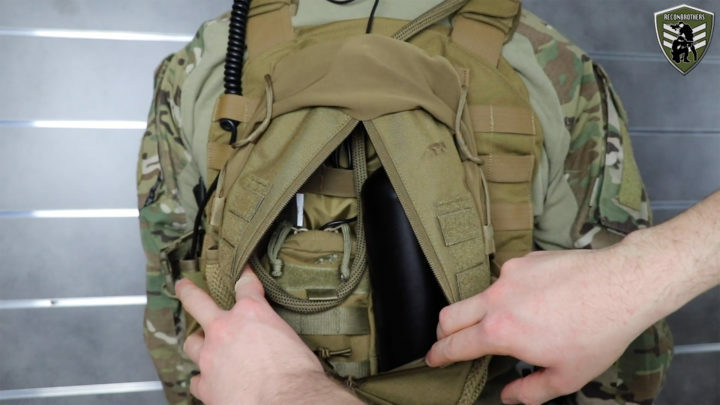 Now, we could also carry a pouch beneath our carrier. But we don’t do that because it limits our movement capabilities, especially when bending forward. 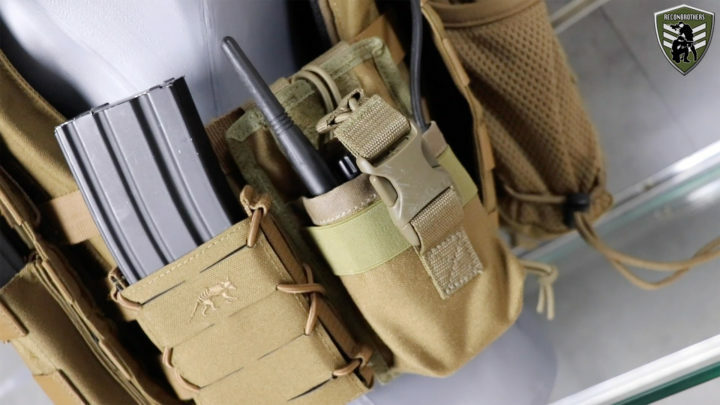 Viper carries his utility pouch on his right side as much as possible to the front, because he has less space to use on his front panel. Although this might cause a slightly less efficient draw than when it’s fully empty on that side, like Instinct’s is. Speaking of your dominant shooting side. 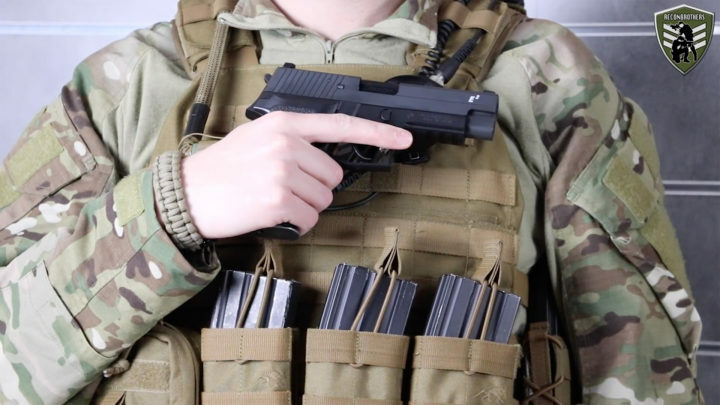 To get the fastest and easiest sidearm draw, the best thing you can do is keep your carrier empty on that side. Now, we’ve seen some guys running around with double layers of pouches on their front panel. We once tried that stuff but quickly realized that that not only limited our mag access, but also our movements. And if again we needed to hit the dirt, it was just a tremendous uncomfortable position to be in. But, this of course also comes down on how many mags you need to carry with you as an individual. 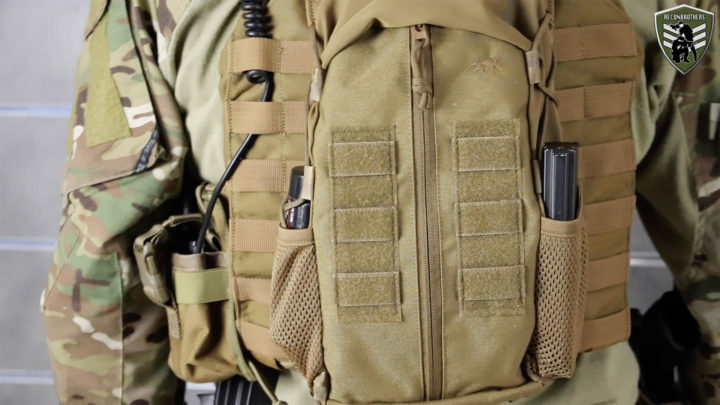 Another thing we see people sometimes do, is carrying their sidearm on their front panel of their carrier. It looks really cool, but it will probably be one of the last things you see us do. This is because one, our magazines might hang too high to be easily accessed with a pistol on top of them. 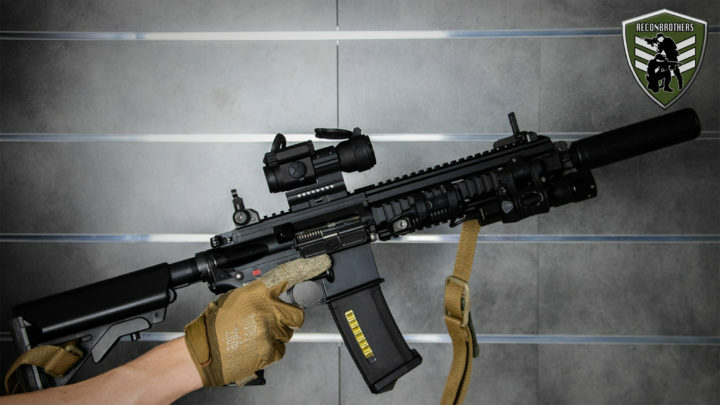 And mainly two, when using a sling, when switching shoulders or switching to your sidearm, the thing will only interfere in a bad way. Furthermore we have our PTT on our left side of our front panel. Why the left side? Because again, we’re right handed shooters. So, we can aim and shoot if necessary while still being able to communicate over our comms. On the right side we have our drinking tube, because drinking keeps you in the game and we don’t want to die from dehydration. 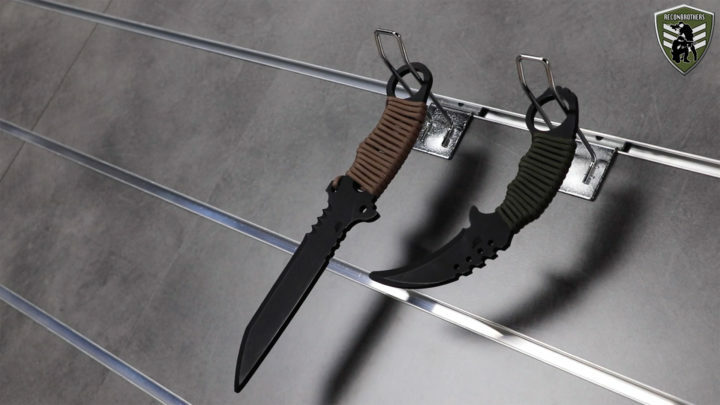 We also carry our training knives from TS Blades up front through the MOLLE loops for those stealthy “knife kills”. 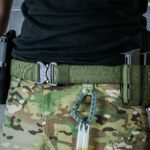 Although we are questioning ourselves, if these would be easier to access on our belts with some sort of holster system. Food for thought. A thing to notice is that we both use vented sides rather than the closed ones. This with the reason to lose heat as much and as fast as possible. What we both do carry on our left side as much as possible to the front is another TT SGL mag MCL pouch like we carry on our belts. This is our second pouch that allows for a quick fast mag capability. 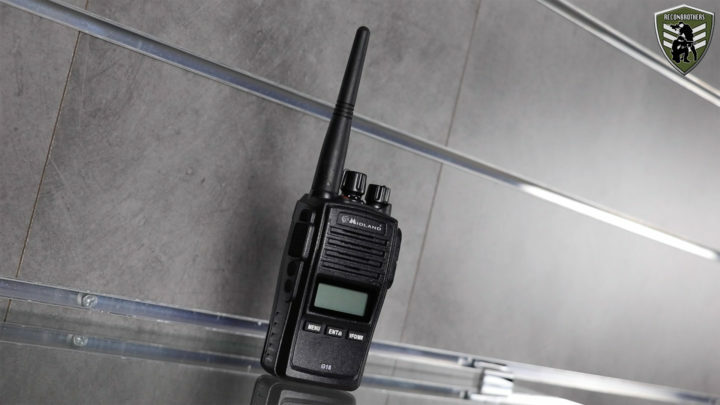 Further to the back, we carry a TT tac pouch three radio. 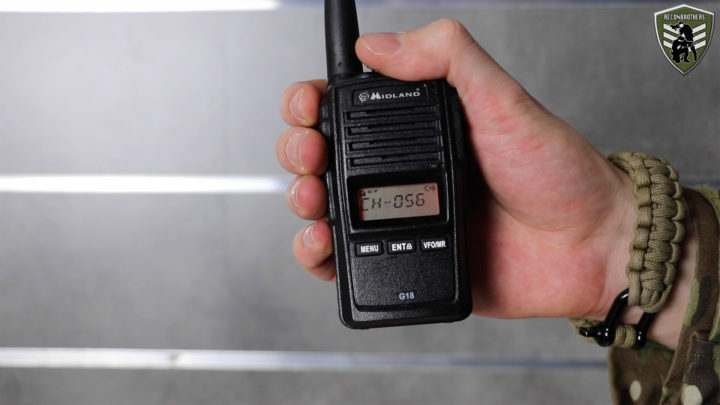 This is a small universal radio pouch which is ideal for our Midland G18 two-way radios. This is obviously a spot we cannot reach ourselves, but it’s not a necessity to access them for what we currently do. We usually set our channel or frequency and lock it. This way we cannot accidentally switch to another channel or frequency. And if we would need to change, we can just ask a teammate to do it. 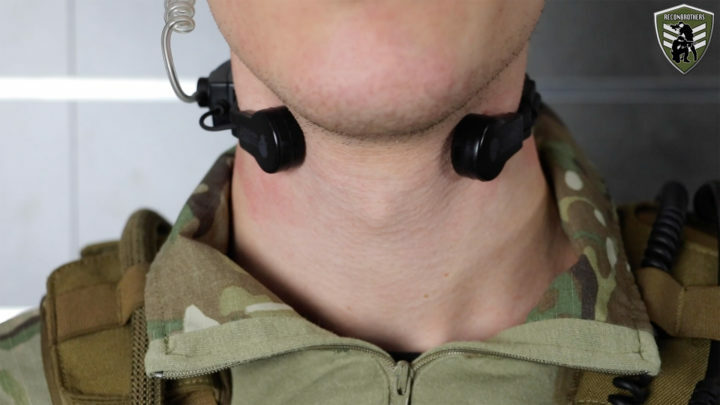 Now, in order to actually communicate with each other we currently use the Assault Tactical Throat Mic and PTT from Coderedheadsets. First off, why a throat mic? Well, this is because we both use mesh facial protection to protect our pretty smile against incoming BBs. 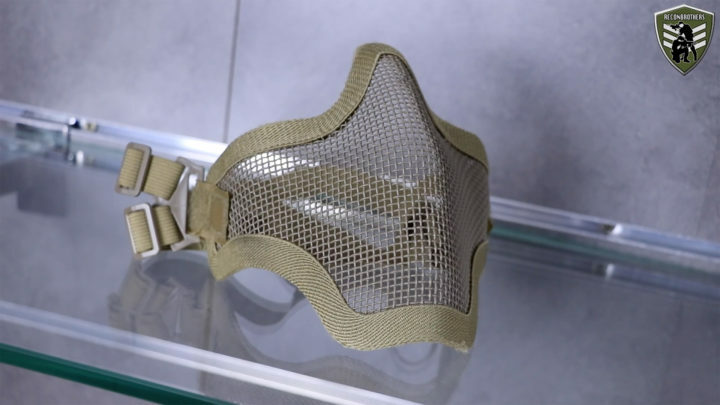 So, wearing something on our faces gets very uncomfortable with those mesh masks. 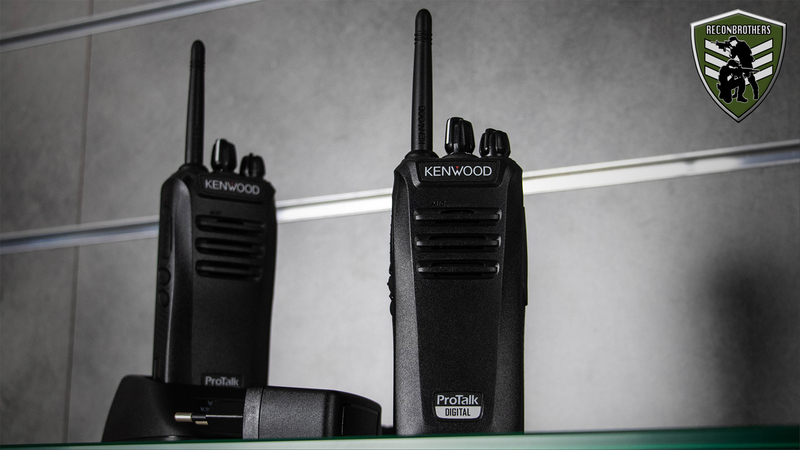 But we’re currently also questioning ourselves about ear pro, because some events or fields allow sound devices up to 120 Decibels and we like to keep our hearing. So, we don’t need to yell at each other like old men. But other than that, these throat mics and PTTs don’t work very well and we’re currently looking for something more reliable but possibly more expensive as well. Now, back to that left side. 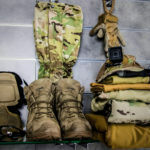 Something we also consider about is that we’re not carrying too much stuff underneath our arms to allows for the most freedom of movement. We also keep as much space as possible empty so the magazines on the 9 o’clock of our belt don’t interfere too much with other stuff. Only carry what you need! Another thing we wanted to mention that we’ve seen a lot, is people trying to fill almost every single MOLLE loop they can find. And if it’s not done with pouches, then it’s sometimes done with light sticks. 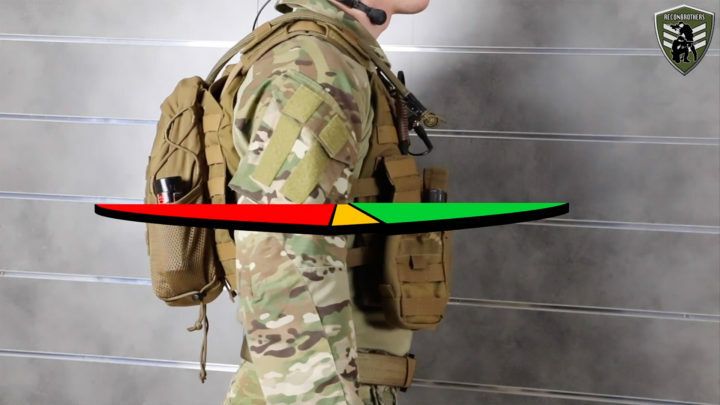 But guys, remind that excessive use of light sticks in your MOLLE loops doesn’t only makes them very clumsy to reach, it also makes you look like a tactical Christmas tree. So guys, like we already mentioned before, only carry the stuff you really need. We used to run a TT bladder pouch with a WXP 3L hydration system from Source, but we’ve recently changed that to a TT tac pouch 11. While our old setup with the bladder pouch enabled us to carry up to 3 liters of water, it didn’t allow us to carry other stuff we needed. 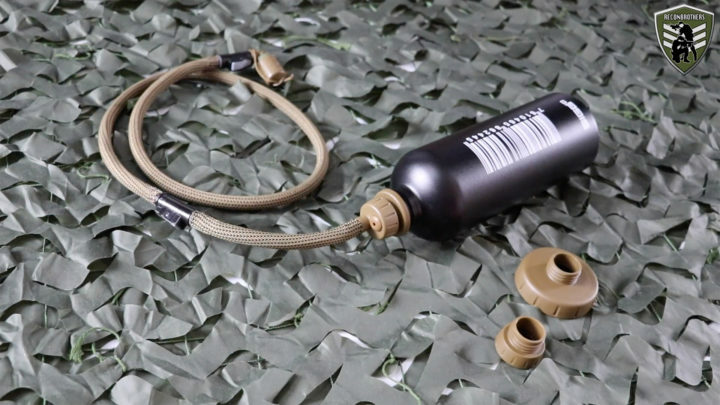 So, this small backpack we’re using nowadays allows us to carry a smaller 1 liter bottle and together with the Source Convertube we can easily take a drink from it in the field. 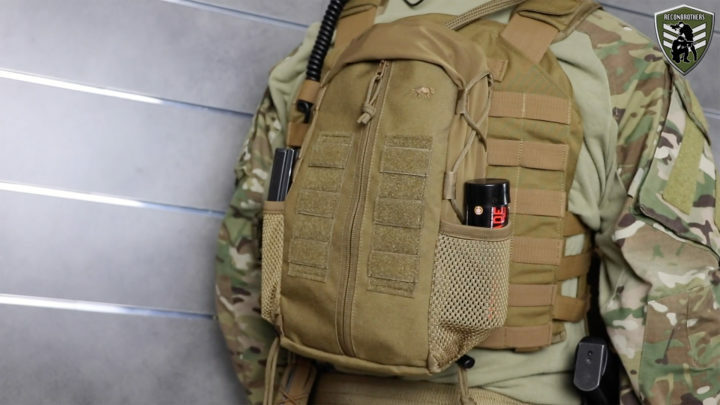 This backpack has a MOLLE system on the inside and is also a compressible bag. This furthermore gives us the ability to carry our more personal belongings like our keys, ID and phone. By the way, we always carry that stuff with us in case of emergency. 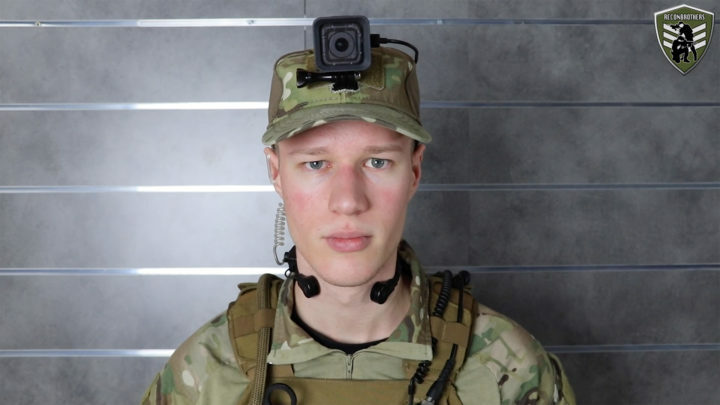 This setup also allows us to carry our power banks for our Gopro head cam directly on our back. 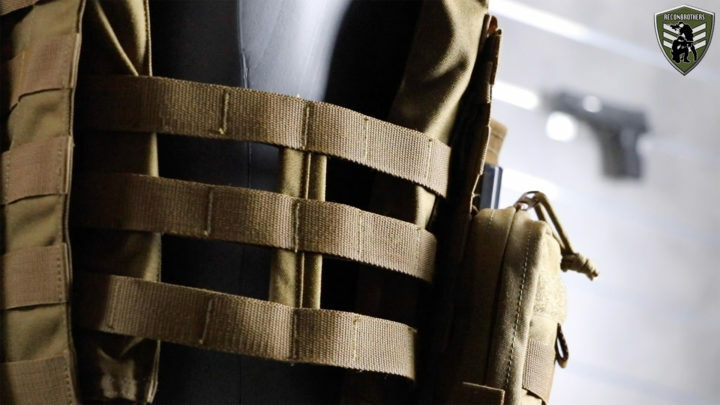 The outside pockets also allow us to carry stuff for our teammates like extra mags, grenades and all that kind of stuff. At last is the right side of our carrier, which is our dominant hand side. And like mentioned before, we keep this side as empty as possible to allow for that quick draw capability. So, that’s it guys. 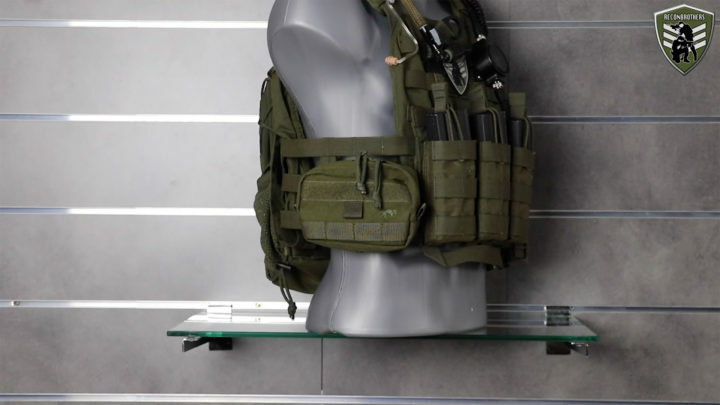 Our tactical plate carriers setup for doing Airsoft and the thought process that came along with it. Hope you learned some stuff from this blog/video. 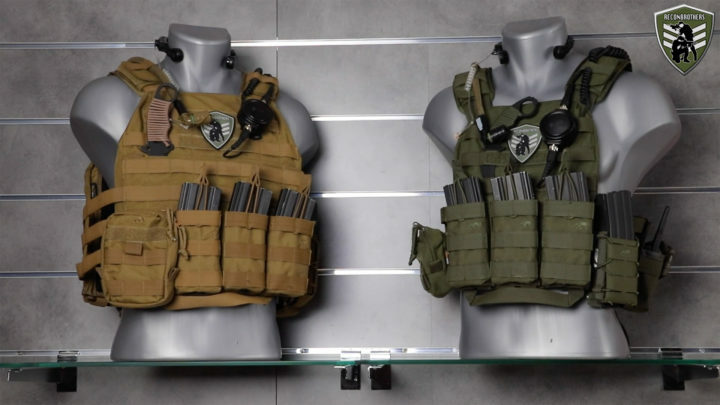 Please, let us know what plate carrier you use in the comments down below. Don’t forget to subscribe to our Channel & Newsletter because that stuff helps us to help you guys more.